For more information about a LHIN, please choose the appropriate link below. 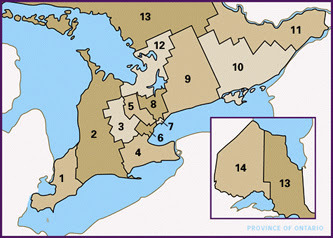 For additional information please visit Ontario's Local Health Integration Network (LHIN) web site. 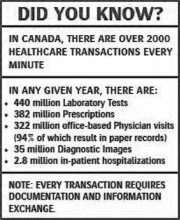 FREDERICTON - By the end of 2009, all hospitals will be linked to 'one patient one record' system, with doctors and pharmacies joining later and positioning New Brunswick to be the first in the country to reconcile its medical records process. Health Minister Mike Murphy announced on Friday that his department signed contracts for four major pieces of the province's e-health record system. He said the programs New Brunswick purchased are used successfully in other provinces. And while some other provinces are ahead in aspects of e-health, not one has all hospitals linked through a one patient one record system. 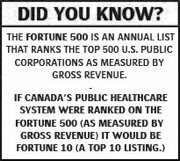 Don Sweete, the Atlantic Canada executive regional director for Canada Health Infoway, said New Brunswick's 2009 deadline is realistic. There are several provinces racing towards the 2009 target, he said, but it is difficult to say who will achieve the coveted system first. "All provinces have made tremendous progress in moving forward with the interoperable electronic health programs," Sweete said. "New Brunswick's no different." The system, which will be in place within three years, is expected to cost $36 million. The province will contribute $17.7 million, while Canada Health Infoway, a non-for-profit organization dedicated to develop health information systems, will pay the rest. Murphy said the contracts cover the basics of his e-health strategy, and will give hospitals across the province immediate access to any patient's extensive medical history. "It is not the full e-health initiative that I have spoken at length of," Murphy said. "That is going to take several years more." The long-term plan is to link all health care providers - from doctors' offices and pharmacies - to the hospital system. The entire strategy, yet to be thoroughly defined by the government, is expected to cost a quarter-billion dollars over the next 10 years. Murphy said the strategy is more efficient and will eventually save the system money. "There will be far fewer clinical errors made by health care professionals with regard to drugs and allergies," he said. Initiate Systems Inc. will provide a client registry for $1.9 million over two years. Orion Health signed a three-year agreement worth $4 million for a provider registry and the Interoperable Electronic Health Record system, which makes it possible to link, capture, store and view patient information in a central database. System integration and maintenance services costing $5.6 million over three years will be handled by xwave. Agfa Healthcare Inc. will receive $9 million over two years to create its Diagnostic Imaging Repository, used to consolidate images from X-rays and ultrasounds to MRIs and CT scans. The independent Canada Health Infoway is funding all provinces and helping them to strategize and establish e-health systems. Sweete said the organization is 100 per cent behind the approach New Brunswick has taken. Gary Folker, Xwave managing director of business development for health care, said the province has a well thought out and aggressive mandate. "There's a lot of work that needs to be done to accomplish this," Folker said, adding that the province is well positioned to succeed. Murphy said the province's "dead-last" standing in the country for an e-health strategy it has held up until a few months ago can be turned into an advantage. "We have a road map now - we know where it's working and not working," he said. "By the end of 2009 we may very well be the first Canadian province to have all of our hospitals hooked up one patient one record." But while New Brunswick is trying to the finish first in the country, Murphy said it will also establish the best privacy laws to accompany the system. The government is working on those laws, and Murphy hopes they will be in place no later than spring. "The legislation has to be developed hand-in-hand with these foundational pieces," Murphy said. "If you don't have the proper mechanisms in place and the proper laws in place, then theoretically someone could push a button and see everything in your health care record. And that's never going to happen in New Brunswick." September 7, 2007, FREDERICTON (CNB) - Contracts have been signed for four major pieces in the province's e-health strategy, Health Minister Mike Murphy announced today. 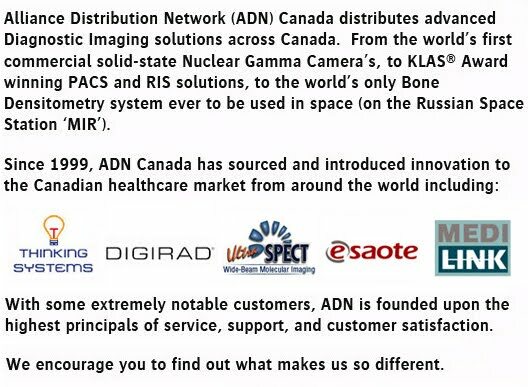 The systems are an Interoperable Electronic Health Record, a Client Registry, a Provider Registry and a Provincial Diagnostic Imaging Repository. "These systems are key building blocks along the journey to a complete electronic health record that will ultimately link all patient information from across the health care system - from hospitals, from your family doctor, from your local pharmacy and elsewhere," Murphy said. "With this information, authorized health care providers will have access to individuals' health records to provide them with the care they need, when they need it." "The progress we are celebrating today on the e-health front is a major step forward in the modernization of New Brunswick's health care system," said Richard Alvarez, president and CEO of Canada Health Infoway. "Information is central to quality health care. Today's announcement is about making that vital information quickly accessible to clinicians so they can get on with the job of caring for their patients." The Interoperable Electronic Health Record is considered a foundational piece for the One Patient One Record (OPOR) system. It will provide the infrastructure and functionality required to link, capture, store and view relevant patient information. The Client Registry system is essentially the one-patient component of the OPOR system. With this system, each patient will have a unique provincial identifier that will tie together patient information from various clinical systems. The Provider Registry system will contain information on health care providers in the province. The Provincial Diagnostic Imaging Repository will consolidate a patient's diagnostic imaging reports and images for procedures such as X-rays, CT scans, ultrasounds and MRIs, into a provincial repository. Once completed, the diagnostic imaging information will be retained for the life of a patient, will be available provincewide in a standardized format for the use of authorized clinicians, and will be stored in a centralized system with appropriate back-up. Murphy said that the Department of Health has signed agreements with Initiate Systems Inc. for their Client Registry solution ($1.9 million over two years) and Orion Health for the Interoperable Electronic Health Record and Provider Registry systems ($4 million over three years). A third contract awarded to xwave for system integration and maintenance services is worth $5.6 million over three years. The contract to create a Diagnostic Imaging Repository has been awarded to Agfa Healthcare Inc., in the amount of $9 million over two years. "What we are witnessing now is a new era unfolding for health care in our province," Murphy said. "The implementation of the OPOR system will revitalize our health system by improving access to vital clinical information which will aid in better clinical decision-making, and result in improved care for New Brunswickers." The OPOR system will be implemented over a three-year period at a total cost of $35.9 million. New Brunswick has partnered with Canada Health Infoway, which is contributing $18.2 million to the project, with the remaining $17.7 million coming from the province. In total, it is estimated that New Brunswick needs to invest a quarter of a billion dollars over the next decade in electronic information and computer technology to improve the delivery and management of health care in the province. Canada Health Infoway is a federally funded, not-for-profit organization created to facilitate the development of electronic health information systems across the country. It works with provinces and territories to invest in electronic health projects, which support safer, more efficient health care delivery. These private and secure systems fully respect patient confidentiality, and provide health care professionals with immediate access to complete and accurate patient information, enabling better decisions about diagnosis and treatment. The result is a sustainable health care system offering improved quality, accessibility, productivity and cost savings. View the original post by Canada Health InfoWay.